Have a special bottle saved for a special occasion? Follow these tips for the perfect wine pouring technique, and you’ll enjoy every last drop to the fullest. 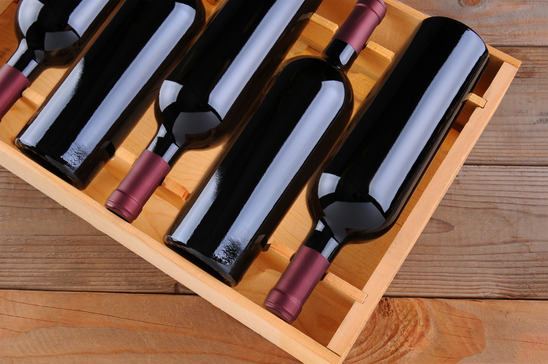 Even if you have decades of experience pouring wine, some of this advice may surprise you. A huge range of styles and price points are available, from basic winged styles to electric openers to bartop contraptions. Try different corkscrews to see which one is easiest for you to maneuver. A good corkscrew will feel comfortable even if you’re opening multiple bottles for a party and will work its way through wax seals and synthetic corks. More wineries are using wax-dipped seals instead of foil capsules. They can be a bit intimidating at first, but here’s a tip: Fill a container with hot water and immerse the wax-covered neck of the bottle for several minutes. This should make the material pliable enough for you to either score or remove, just like a regular capsule. If you try to peel off the cold wax, you’ll be left with a mess. Alternatively, pick up a handy wax wacker. Though it is possible to simply insert the worm of your corkscrew right through the wax and proceed as usual, over time you could damage the teflon coating on the worm. For a wine to breathe or open up, it needs some room. Simply taking the cork out of the bottle will expose just a few centimeters to air and won’t accomplish a thing. You’ll “bottleneck” the flow of air to the wine, allowing less surface area to be aerated. A decent decanter will do a great deal to improve the wine’s taste. By decent, I don’t mean expensive, but rather, presentable. If your decanter matches your decor and is easy to pour from, chances are you’ll use it more often. Sometimes you might not feel like getting out the decanter, or perhaps you just want to pour a few glasses of wine. Try one of the special aerators designed to fit into the top of the wine bottle. These are created to introduce air as you pour, working like mini decanters. You have a mesmerizing array of choices when it comes to wine glasses. For most of us, it’s not necessary to have a different glass for every varietal — after all, how often do you pour yourself a Grand Cru Riesling? Look for a few basic styles that match your habits. And don’t forget Champagne flutes – got to have Champagne flutes! Make sure your second glass is as perfectly chilled as your first. Table top wine chillers come in acrylic, terra cotta and marble so they look great on your table while keeping your wine at the right serving temperature. If you hate getting wine stains out of your tablecloths, remember to give the bottle a slight twist as you lift it from the glass after pouring. This simple trick will catch any drips. It’s also a good idea to keep the wine bottle on a coaster. Besides being a decorative addition to your dining table, a bottle coaster will protect your linens or table top from wine stains and drips. 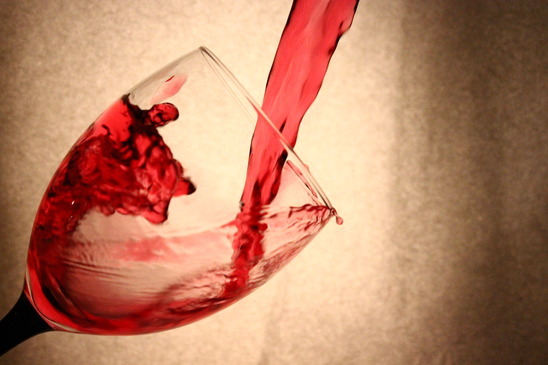 If you do happen to drip or spill wine, keep Wine Away Stain Remover handy. It also works great on other tough red food stains, such as tomato sauce, grape juice and red punch. Just because a wine glass looks big doesn’t mean you need to fill it up. Fill glasses about one third or less to allow room for swirling. A typical pour is between five and six ounces. The best way to clean your wine glasses is by hand with warm water and no detergent. The scent can linger, interfering with your wine enjoyment. And if you have soap residue on your champagne flutes, the bubbles will disappear. Instead, try some of the special brushes designed to clean all shapes and sizes of glassware and decanters. The foam bristles whisk away wine stains and lipstick marks. To dry your glasses, use a microfiber cloth. These miracles of modern science will not leave traces of lint. Hi everyone! I’m new here, I hope I am welcomed! I feel like You all should get to know me. I joined here because wine is my passion. Just recently I finished I my own list of best wine destinations. But, my list is not complete, and I need your help. Can you help me by posting me your favorite wine destinations? I would be very grateful. Thank you in advance!